Holiday with your Dog in Gauteng – Sometimes you just feel like you need to get away, but only want to go for a weekend to recoup and do something different, away from the hustle and bustle of the city, but not miles and miles away. We have compiled a short list of places to stay near Joburg and Pretoria, perfect for that weekend getaway. The best part? 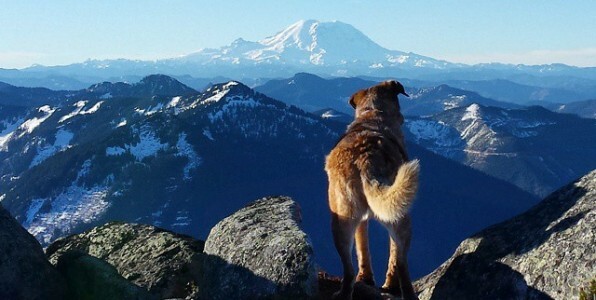 They’re all pet-friendly so you can take your pets with for a weekend away. Hornbill Lodge is a rustic B&B nestled within a riverine forest on the banks of the Magalies River.It is an ideal location for those needing to be close to the city, but away from the crowds. The Guest Lodge offers superb accommodation in peaceful surroundings – the luxury of the city and the best of the country. There are 6 rooms available, as well as a lounge, bar, swimming pool, braai area, and restaurant. Pets are welcome to sleep in the rooms, but guests are advised to bring along their own pet beds. Hornbill Lodge has a pack of adopted dogs who live on site, as well as farm animals – a donkey, pot bellied pigs, and peacocks. 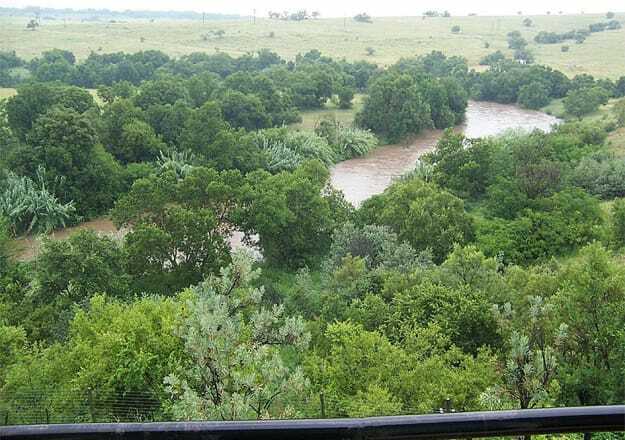 The Magalies River flows all year round and supports a variety of birds (about 180 different species), butterflies, and river creatures. The 1.5km riverfront, beautiful gardens, and unmarked hike up the mountain are all perfect for walking your pet. Enjoy a self-catering farm stay at Blue Roan Country Lodge with spectacular views of the Magaliesburg Mountains. There is plenty to do in the area, and the lodge is within easy reach of Maropeng, Sterkfontein caves and Lanseria airport. The brick units have a colourful cottage-like personality with fenced-in gardens, patios, built-in braais, log fireplaces, and Jacuzzis. 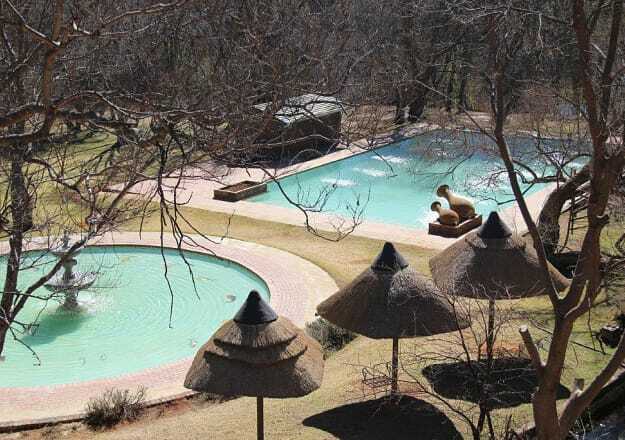 The garden is an oasis for city dwellers with rolling green lawns, horse paddocks, a thatched lapa, and swimming pool. There are safe off-leash walking trails on the property for dog owners. KwaThabisile Game Lodge is a back-to-basics game lodge set within a private conservancy in Boekenhoutskloofdrift. The lodge offers 7 fully-equipped 1 or 2-bedroom self-catering units, a large swimming pool, and braai area. Activities include horse riding, fishing, bird watching, game viewing, and exploring the nearby Dinokeng Big 5 Game Reserve. Stone Hill is nestled within a 75 hectare private bushveld farm high above Magaliesburg. There are 7 fully-equipped self-catering timber cottages on offer, each with a fenced-in garden, large veranda, and braai area. Stone Hill welcomes children of all ages, and all breeds of house-trained pets. Guests are advised to bring along their own pet beds and toys. Other features include a 5km walking trail and a small riverine area where dogs can paddle happily. 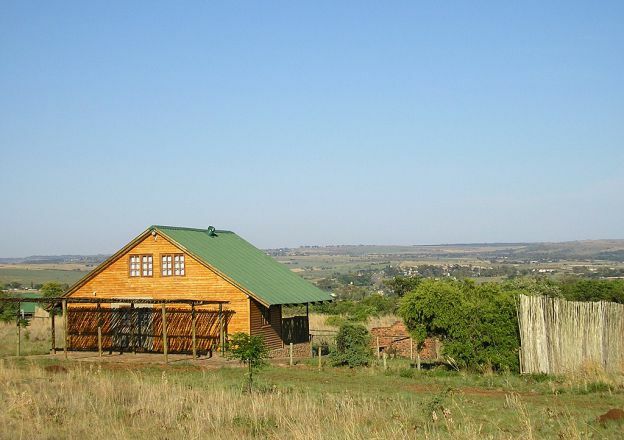 Hills and Dales is a self-catering accommodation situated on a 23 hectare farm in Lanseria, with stunning views of the river and surrounding hills. There is a swimming pool, braai area, free Wi-Fi access, and plenty of space for pets to play. Small pets are welcome. This list was gathered by Travel Ground, have a look at their site for accommodation deals all over South Africa! This entry was posted in Information and tagged #YourHound_SA, animals, dogs, entertainment, fun, Gauteng, happy, Happy Dogs, healthy, Holiday, interesting facts, Johannesburg, Relax, South Africa, weekend away. Bookmark the permalink.